Veganism has been marked as the top consumer trend in 2018 as more and more millennials turn ethical eaters by swearing off meat and dairy. Forbes predicts vegan is the new business of the year. Nimmi Jain was not a vegetarian in spite of her surname. Having been introduced to the joys of a well-ground burger and a T-bone steak she had no intention of going over to the green side. At Harvard as a 27-year-old student, she made a casual friend in a young man from Oregon who liked Rajneesh enough to practice yoga. He had turned vegetarian recently and told her eating animals was bad for karma. Nimmi, who had studied in a posh Mumbai school and later went to college in Pennsylvania, believed in karma as much as Donald Trump believed in Mexicans. Her Rajneesh friend was an anti-foie gras activist, who over a glass of carrot juice and celery sticks told her about how ducks were treated brutally for the sake of epicurean gratification. Curious, Nimmi allowed him to take her to a duck factory some miles’ drive from Cambridge. Geese and ducks, especially Canada geese, were kept in small claustrophobic cages. Workers would thrust short pipes down the throats of male ducks twice a day to force down at least four pounds of grain and fat. The process is called “gavage”. Foie gras means fatty liver in French. The birds’ livers would expand 10 times their normal size, bloating their abdomens so much that they would often become self-destructive. Sometimes they would throw up and choke to death. Shocked, Nimmi turned vegetarian. According to the latest figures available (2014 Meat Atlas of the Friends of the Earth), there are approximately 375 million vegetarians in the world. Over 30 per cent of Indians are considered vegetarian. Nimmi became one of them. She, like most millennials in the US, loved live concerts. Beyoncé was a favourite. When she heard the ‘Broken Hearted Girl’ singer was going vegan for 44 days before her concert at Coachella Valley Music and Arts Festival, Nimmi like a groupie decided to go in for her favourite singer’s 22-day vegan meal plan. It changed her life. She became a vegan. The ancient owners of her patronymic were among the first vegans of the world. Conscience eating, followed by many Jains since 6 BC, has become a food movement for the fashionable and the commoner alike. Vegans not only eschew meat, but do not allow anything that causes harm to a living creature to enter their body. This list includes eggs, butter, milk, wool, pearls and honey. Vegans don’t wear leather, fur, silk and wool. All animal products are taboo. Products with animal testing are not allowed. For many new vegans, it is the cruelty meted out to animals that made them take the plunge. Kochi-based yoga coach Sudakshna Thampi says, “I saw how cows, packed very tightly together, were transported in open trucks. They would travel for days without food or water before they were slaughtered. Weak and diseased hens after being turned into egg-making machines would be slaughtered.” All this cruelty made Thampi turn vegan. A dairy farm visit in Panvel, Maharashtra, changed 52-year-old Anand Siva’s life in 2011. “I accidentally tripped over a calf only to realise that he had been born that morning and left to die because being a male calf, he could not produce milk and was of no use to the farm,” shares Siva. His wife and daughter are vegans, too. When his daughter got married three years ago, it was completely eco-friendly. “My daughter did not wear silk,” says the proud father. Chennai resident Dhaval Chandarana, 32, became a vegan overnight. “I attended a workshop conducted by vegan expert Dr Nandita Shah and have been a vegan for over six-and-a-half years now,” says Chandarana. Last year, he opened ‘Earth Story’ that promotes all things vegan. “The response has been great,” he says. The items that find most favour are smoked tofu, vegan ice-creams and vegan crackers. “We also stock vegan lipsticks, shampoos, roll on deodorants, essential oils, etc,” says Chandarana. Bamboo toothbrushes, steel straws and designer shoes made out of micro fibre are also on offer. Then there are some like Shankar Narayan, who turned vegan after reading Mahatma Gandhi’s autobiography. “I have been vegan for 17 years now,” says Shankar, an accountant. “My son also became vegan when he was seven and it’s been 13 years since,” says he. His search for other vegans led him to start the ‘Satvik Vegan Society’ in 2004 which is also when the practice of organising vegan festivals started. For 10 years now, the festival is being held at the Sthitaprajna Vegan Life Centre spread over three acres of land in Byndoor in Udupi district, Karnataka. This year, the festival was held on August 4-5 with 50 vegans and 100 non-vegans from all over India. Veganism is the new revolution. Brands like Chetran’s in Pune offer exclusive foods such as soy milk and soy tofu paneer. White Club ice-creams and Roy’s Vegan Soy curd in Delhi have created a buzz. Rare Earth in Mumbai is seeing many footfalls. In Chennai, Marieen Vijay’s VeggyTABLE sells 14 kinds of vegan meat substitutes. The Ahimsa fest held at Juhu last year was a resounding success. So was the Mumbai Vegan Fest earlier this year. In 2017, Kinjal Darukhanawala set up Wegan Foods in Mumbai that offers vegan cheese made using nutritional yeast—50g for Rs 35. Bengaluru studentpreneur Abhay Rangan’s Goodmylk sells shelf-stable almond and coconut-based vegan milk and yogurt priced between Rs 110-120. Similarly, Delhi couple Sheena and Tarun Jain started SAIN which sells flavoured almond milk priced Rs 145-160 per bottle. Good Dot in Udaipur offers vegan mutton and a soy-like variant that come cheaper than the real goods at Rs 135 and Rs 65 a kilo respectively. Cowvathi in Mumbai, founded by former advertising professional Shasvathi Siva in 2017, sells vegan cheeses and dips. Vegan Bites, the tiffin service in Mumbai, is a veteran, catering to over 300 customers. Biofabrication is the new buzzword with leather alternatives being created from pineapple waste, apple peels, mushrooms, kombucha and wine. Add vegan silk. Luxury car manufacturers are experimenting on alternatives to leather. Tesla is saying no to animal leather. Manish Parekh’s brand Veg Shoes makes leather-free footwear from polymers. Suits made from linen, cotton, polyester and rayon-based fabrics are considered vegan. Finding vegan ties is a challenge, unless companies such as Jaan J and High Cotton come to the rescue. “Traditionally, most Indian cooking is vegan, barring the use of a little ghee while tempering,” explains Sruthi Harihara Subramanian, owner, Ashvita Bistro in Chennai. In 2015, reputed global market research and consulting firm Ipsos found that millennials are twice as likely to be vegans, especially in 18- to 24-year age bracket. Manav and Madhav Windlass, founders, Kiara Soul Kitchen in Delhi, say, “Veganism has shown an impressive worldwide increase from 2004 to 2018. Top regions include Israel, Australia, Canada, Austria, and New Zealand. There’s been a 600 per cent increase in people identified as vegans in the US. In the UK, the number has increased by 350 per cent. This alternate food movement began in August 1944, when Donald Watson, an official in one of Britain’s Vegetarian Society branches, coined the word ‘vegan’ with the first three and last two letters of ‘vegetarian’ because, as he said it marked “the beginning and end of vegetarian”. To celebrate the founding of the Vegan Society, World Vegan Day is observed every November 1, the month declared by vegans as World Vegan Month. Veganism was a top search trend in Canada in 2017. Millennials in Hong Kong and China are driving the vegan market up by over 17 per cent between 2015 and 2020. Nine per cent of the population in the Asia Pacific is vegan. GROWING APPETITE: There was a totally eco-friendly vegan wedding held in Chennai recently. “They served butterscotch ice-cream made out of cotton seed milk,” recalled Anu Vidya, whose Instagram account @Chennai_vegan_foodguide has over 500 followers. Many vegan weddings in the West are held in animal sanctuaries where rescued beasts live. The fee goes into maintaining the shelters. Wedding clothes are easily available made from organic fabric. Vegan wedding photography has to be purely digital—since film is coated with gelatin, which is derived from animal parts. In Delhi, there are many restaurants that serve the cuisine. 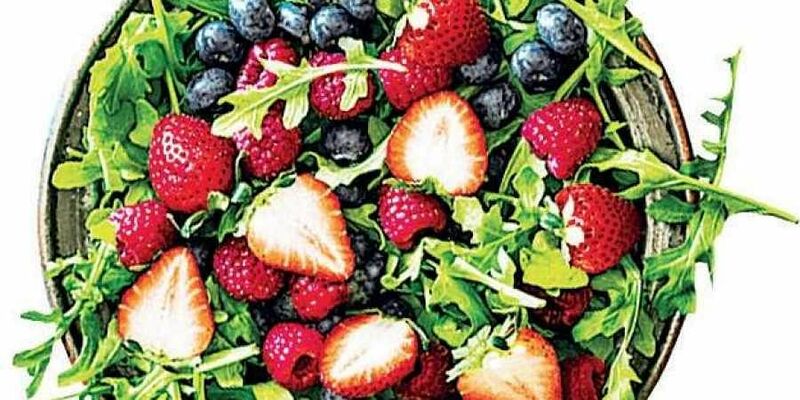 Vikram Khatri, head chef, Guppy at Lodi Colony, says, “Researches and innovations are on in professional kitchens.” The Rose Cafe Saidulajab has a full vegan page on its menu offering beetroot salads, Shepherd’s Pie and desserts like banana cake. The organic menu at the wildly popular Smoke House Deli has soy-marinated tofu, spinach and millet soup, and quinoa salad. Zehen Spa at the exclusive hotel The Manor Sign gives a nutrient-packed vegan meal after an organic massage. Mumbai is better: Salad Days cafe-restaurant in Andheri proclaims its purist attitude with a clearly marked V sign at the entrance—V for vegan victory. Kitchen Garden by Suzette and Ray’s Cafe & Pizzeria both in Bandra, as well as Candy and Green at Breach Candy with an open rooftop garden are favourite vegan spots. The variety is global: green smoothies, turmeric and almond milk oats, cold gazpacho and bulgur tabbouleh; organic and gluten-free fare like kale chips and avocado cashew pumpkin salad; Sindhi vegan cuisine, and more. The eastern part of India is often labelled a non-vegetarian’s Mecca. But, customisation options are aplenty now. “For vegans, we have substituted cow milk with soy and almond milk. One of the most preferred items is tofu,” says Ritesh Ali, food and beverage manager of JW Marriot Hotels in Kolkata. Besides the five-stars, customisation option is also available at select restaurants in the City of Joy. One such place is Fung Shway, a pan-Asian restaurant at Southern Avenue. Celebrity chef Dilip Massey offers vegan Japanese food. “We replace fish with asparagus and avocados,” says he. According to executive corporate chef of Mayfair Hotels in Bhubaneswar, Nisar Ahmed, the animal-free diet scenario has changed over a period of 10 years. “Previously, only airlines used to have vegan options,” he adds. The pan-Indian restaurant, Wok, in Bhubaneswar’s Jaydev Vihar, also serves vegan items. “We get guests looking for healthy food, devoid of meat, fish or dairy,” says the chef. With a large expat population, Bengaluru restaurants are cashing in on the vegan craze. Carrots, India’s first 100 percent vegan restaurant in upmarket Koramangala, offers garlic cream pasta and mushroom stroganoff as entrees to be rounded with vegan hot chocolate. Co-founder and managing partner Susmitha Subbaraju, who has been a vegan for the last 15 years, says, “The growth has been incredible.” The thalis at Vaathsalya Millet Café and beetroot blush salad with tahini dressing and toasted walnuts show conscience eating can also be fun. 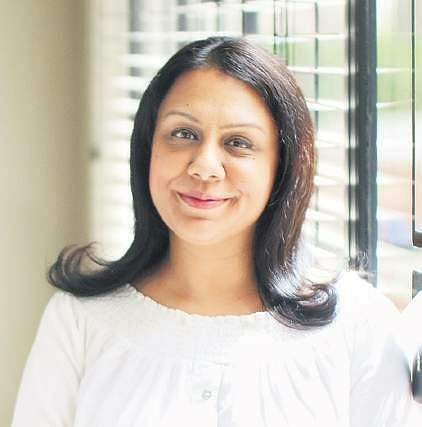 However, Minal Agrawal who administers the vegan Facebook page Veganennai believes that veganism is mainly a metro trend. KEEP IT HEALTHY: Activists argue that a vegan diet eliminates unhealthy foods leading to fewer heart-related diseases and diabetes. Vegans have leaner muscle mass and are usually not obese. Dieticians sceptical of the diet argue it is nutrient-challenged. Vegans dismiss the argument: Bollywood star Aamir Khan is a vegan; boxing legend Mike Tyson turned vegan in 2013. So is Premier League footballer Héctor Bellerín who depends on endurance and muscle power to stay on top. CUT THE CARBON: Some airlines have included vegan food and snacks in their menu. The app GateGuru displays every airport’s vegan food options. In the US, Amtrak diners can buy a vegan burger and entrée salad. Many cruise lines offer vegan cruises; in 2017, Oceania Cruises introduced a 250-item vegan menu. Google has enough information on options in every country; HappyCow.net is one such site. AirBnb has vegan bed and breakfast options. V-cards that allow vegans to communicate with waiters are available in 106 languages. Inspiring travel memoirs are also out such as The Happy Herbivore Abroad by Lindsay S Nixon with 135 vegan recipes from various countries. Vegan festivals like California Vegetarian Food Festival, Los Angeles Vegan Beer Festival, Living Green Festival in Canberra, Vegetarian Food Festival in Prague, VegFest in Estonia, Vegan Pop Festival in Paris, VegFest in Berlin—to name a few—are places to visit. PERSONAL CARE: Vegan beauty options reject all animal-tested products. Vegan products are identified with the “cruelty-free” or “not tested on animals” labels. The Body Shop, Beauty Without Cruelty, Urban Decay and 100% Pure pride themselves in housing such products. Numerous cruelty-free shampoos, hair spray, mousse and styling gels are available at Aveda and Aubrey Organics. PET-FRIENDLY: Dogs and cats are instinctively carnivorous, and unless brought up on vegetarian or vegan food, difficult to convert to an animal-free diet. Vegan dog food is now available at pet stores; veterinarians have observed that such food help clear up existing skin diseases in canines. As vegetarianism’s next level, veganism is a conscience movement that is about adopting a holistic cruelty-free lifestyle. Veganism has a long history; Syrian philosopher-poet Abu al-Ala al-Maarri was a vocal vegan in 1000 AD. All counter cultures need a living hagiography, and celebrities are always available to flog its and their own cause. President Bill Clinton, Ellen DeGeneres, James Cromwell, Bryan Adams and “Weird Al” Yankovic all went vegan. Legumes, which contain essential amino acids that are the building blocks of protein, can come in handy. Whole grains and beans are rich in iron. 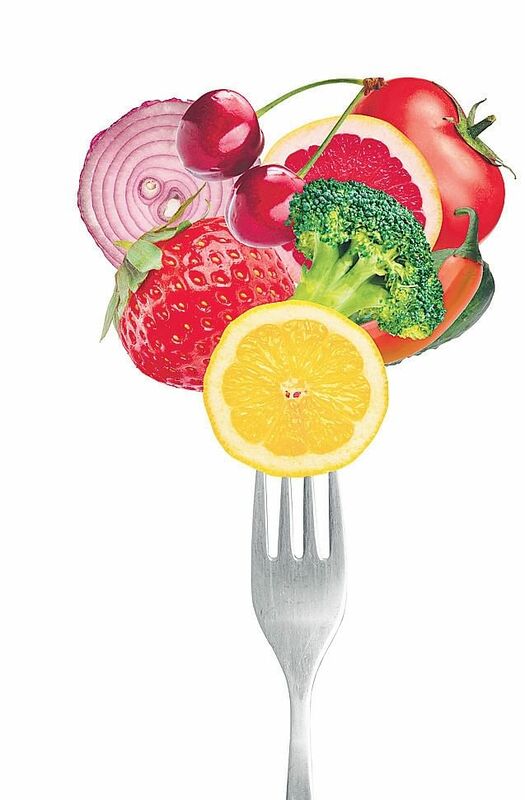 Vitamin C is abundant in citrus fruits and juices, cantaloupe, kiwifruit, mango, papaya, pineapple, strawberries, broccoli, Brussels sprouts, peppers, tomato juice, cabbage and cauliflower. The best sources of zinc are avocados, whole grains, legumes, nuts and seeds. Dark leafy vegetables such as spinach, pumpkin, sweet potatoes and carrots are converted to Vitamin A. Vegan dieticians advise to include ground flaxseed or flaxseed oil, walnut, hemp seed, soy or canola oil and chia seeds in the diet. Fat from tree nuts can be very healthy. Of course, I grew up eating meat. And not thinking about it. Nobody questioned its morality. It passed off as normal and natural. Which, of course, it isn’t. It takes different things for people to man up to an uncomfortable truth. For me it was a film on slaughterhouses. Meat subscribes to the mob culture of might is right. You kill animals simply because you can. So are there any circumstances that justify killing? Sure. Self-defence. But you can hardly claim that you were attacked by a chicken or lamb. Nor can the point be stretched to a matter of survival. Cold, inhospitable climes are often cited as necessitating meat for lack of other food. Yet the animals reared for meat are all vegetarian. So if there is enough vegetation for them, there is enough to sustain 10 times that number of humans. Also, plentifully protein and omega fats are available from non-animal foods. Studies have shown that 40 percent of all cancer is linked to meat-eating as are other modern diseases such as diabetes, arthritis, osteoporosis, obesity, clogged arteries and heart failure. Human bodies are not designed to process animal products, nor are they equipped to kill prey. Try catching a mouse or even a chicken. This gives the lie to the myth that man was a hunter. It was not until man developed tools that he took to killing. Look at your natural instincts. Raw flesh and blood evokes revulsion but it makes a cat’s mouth water. The most definitive pointer to our intended diet is our intestine. Carnivores have a short funnel-like intestine enabling meat to be rapidly processed and excreted. Humans, on the other hand, have a long coiled intestine—over seven times the length of our body—so food takes as long as 24-36 hours to digest. Think what happens when meat remains that long minus refrigeration. Exactly the same thing happens inside your body: it putrefies and poisons your whole system. Besides, meat is the single greatest cause of deforestation. It also gobbles up 10 times more resources than the production of grain or vegetables. For example, it takes over 1,000 litres of water to clean just one single carcass. One acre of land can produce 1,000 kg of potatoes or just 100 kg of meat. No meat means 10 times more food, water and energy. Call it karma, but the ecological imbalance comes back to us in the form of disease and disaster such as bird flu, salmonella poisoning, mad cow disease and climate change. Amazing article! An eye opener both vegetarians and non vegetarians.